Posted on 23 May 2014. The Caribbean Football Union’s (CFU) flagship tournament is set to kick off this weekend on Montserrat. The Men’s Caribbean Cup will run from 30th May to 3rd June at the Montserrat Football Complex in Brades. The sporting event, which is being hosted by the Montserrat Football Association will feature three teams, the USVI, Bonaire and the Montserrat National Football team. For the first time in the history of the tournament, one of the competing teams will get the chance to play in the COPA America Centenario in 2016, as well as provide an additional 5th Caribbean football team to qualify for the 2015 CONCACAF Gold Cup. Montserrat will open up the weekend tournament on the 30th of May when they take on the team from the USVI. The second night will see The USVI will play against Bonaire on the 1st of June. 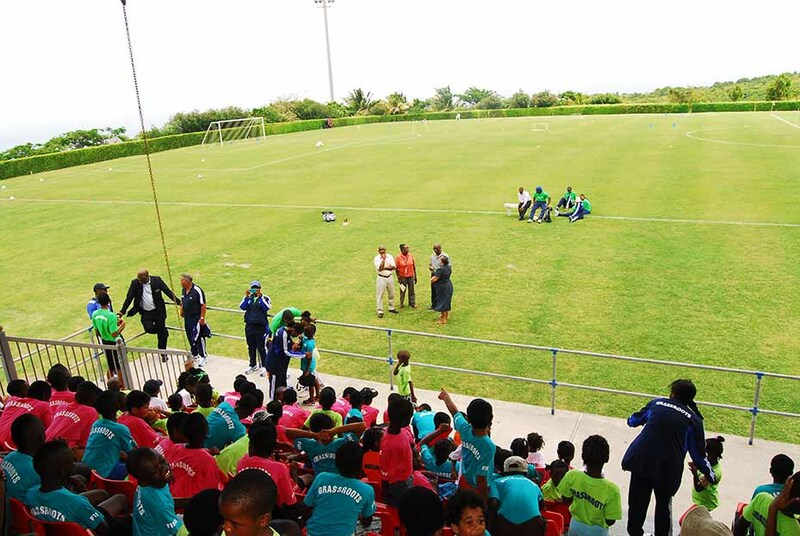 The qualifying games will climax on the 3rd of June 2014 with Montserrat competing against Bonaire. All games kick off from 7pm. The CFU has already named match officials including referees and match commissioners. The flagship CFU Men’s Caribbean Cup forms part of the sole objective of the organization and its Executive Committee is to ensure that football remains on the minds, in the thoughts and on the lips of every Caribbean person in 2014 and beyond.